As the Niagara River flows into Lake Ontario, a young farm boy sits at the front of a boat as lookout, in the year 1758. A man from Sicily steps off a ship and finds himself in the bustling Hamilton Harbour as he looks for work, in the year 1835. Finally, a man from Dublin looking to make his fortune finds himself tossed out of a bar on Barton Street, in 1885. These are the seeds that Holton plants to begin the intricate intertwining of stories throughout the book. 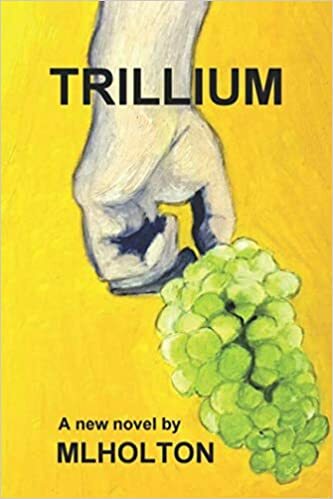 Trillium sees these three characters, with three vastly different backgrounds, struggle to make a home in Canada, and follows their legacies as their memory lives on through their descendents. The book connects with the history, not only of Canada, but of the world. It draws upon various historic events, including both world wars, as its context. This grounds it in the real world and gives it a universal sense of what we all strive for in much the same way as the three families – a home. As generations pass, they seem to take a firmer grasp on the land they live on and become part of the history themselves. As such their progress fits well with the underlying rural theme that the chapters take, such as roots, growing vines, and the grape harvest. The book seems to create a family tree, which intertwines with the other family trees in the book, as they grow. The reader is plunged into a world shaped by conquest. The characters in the book encounter wars, displacement and enterprise, all of which are constantly shaping the landscapes. Each character tries to find their place in this world of uncertainty. Throughout the generations, they all have a hope to find their way in a changing world and to settle down somewhere – to carve out their own patch of land to call their home. 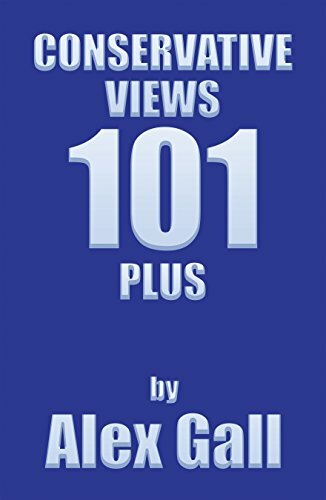 Holton brings this world to life with poetic prose. As the book spans literally centuries, the passage of time is very clear in its writing. The natural setting is gorgeously described through the changing of the seasons, right down to the colors of the leaves. The natural Canadian landscape appears utopian when set in the foreground against the chaos of the world wars or the bustle of a city harbour or the noise of a railway being built. 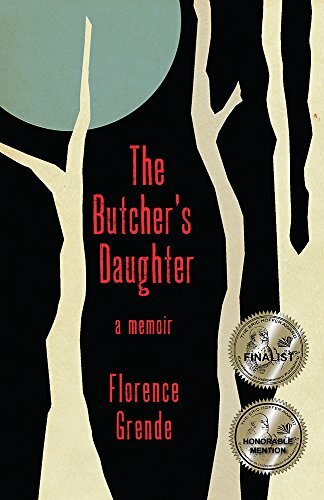 This contrast is eloquently drawn in the prose, especially when WWII hits the novel, where, though the characters have deep personal ties to the war, daily events in the book still transpire on a humble peach farm in Ontario. I give this book a four out five for its awe-inspiring approach to the natural world and everyone’s place in it as we carve our path in the landscape through agriculture, enterprise, and even war. I cannot recommend this book enough. The stories connect beautifully and get to the heart of what it means to have a place to call home. A chance encounter in the park leads Yianni to develop a relationship with a family similar to the one in which he grew up and in need of the same love, unconditional support, and unfailing guidance provided him by his grandmother once upon a time. His recurring meetings with little Christina, her parents, grandmother, and brothers reveal more interesting and, sometimes, amazing coincidences between their family and his own. Eager to share the stories of his youth and finding more reasons all the time to reveal his most troubling and painful secrets, Yianni begins to save his newfound family while he saves himself in the process. Right out of the gate, JohneEgreek strikes a powerful chord in Grandma’s Secret Blessings: A Memoir with a Twist with his emotional reaction to his first encounter with three-year-old Christina. Yianni is clearly missing a piece of his heart due to the strained relationship with his son. The fact that he has never met his young granddaughter, Aubrey Rose, eats away at his soul, and the warm reaction he feels from Christina’s mother and brothers begins to fill that tremendous void. It is difficult to read without becoming overwhelmed with emotion at Yianni’s thoughtful reflections upon each of their storytelling sessions. There exists an entire demographic of readers who will relate to Yianni’s description of his childhood. The abuse and unrelenting savagery with which his father throws his way from a tender age is unbelievably horrific. To find that Yianni is able to grow, thrive, and find a way to cope with his past is truly amazing. His story gives readers hope and provides them with a virtual shoulder on which to lean as they battle their own childhood demons. Yianni’s grandmother, the basis for his strength, is a phenomenal woman indeed. She provides young Yianni with all the love and protection he needs once he loses his grandfather, his idol. The advice flows freely from her day after day, and she builds Yianni’s self-esteem when his father has beaten him down. Her words alone are enough to heal Yianni’s spirit. The regular meetings Yianni has with Christina’s family are fascinating to say the least. I was stunned at the coincidences he discovered week after week between his own lineage and theirs. 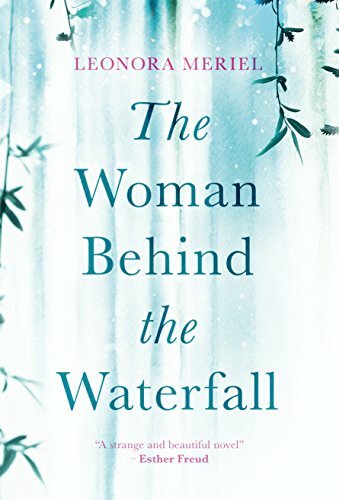 I felt as though the story was leading to an aha moment in which a secret relationship was revealed–that’s how coincidental and numerous the connections are. Story after story, Yianni builds a life with Christina and her parents–even her reluctant father, Ray. I have to say, I was more than pleased to see the final turn of events involving Ray and Yianni. 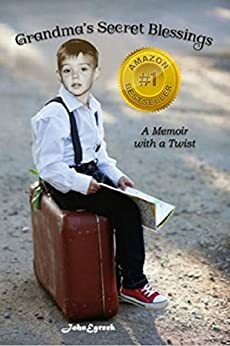 I give Grandma’s Secret Blessings: A Memoir with a Twist by JohneEgreek 5 out of 5 stars. To have so freely opened his life to the eyes and ears of the world is an admirable thing indeed. The years he spent being abused by his father and the time he spent living as the one sibling his father refused to love shaped JohneEgreek into a man who can heal others with his own stories. Take a ride with JohnEgreek as he journeys to the Old Country to fulfill a childhood promise made to his grandparents when he was six years old. His grandmother, insightful and deeply spiritual guides him throughout his lifetime and after she is gone, as he himself opens to the reality of something higher than himself. 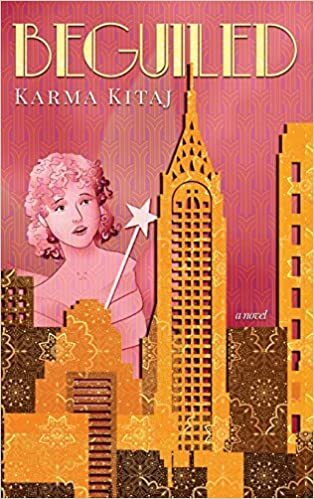 Second-generation Greek-American born, Author JohnEgreek, is brought into this world in 950 to a broken family. His father hates him from the very first day he is born and lives up to the unseen contract to hate him his entire life, without ever giving him a clue as to why. His mother showers him with her love, until her eventual death at the early age of fifty-one, which then forces him to grow on his own. This book is for anyone teetering on the edge of disbelief that there is something higher than their greatest expectations as to why things happen. Everyone at some time or another will lose a loved one, but death is not the end, it is the beginning and they do find a way to speak to you from beyond. 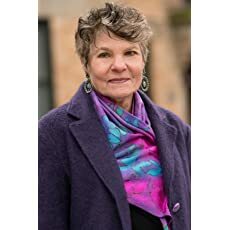 Make no mistake, this book will open your eyes as you discover the magical recipe to Grandma’s Secret Blessings and you too can use them to heal your heart and find the avenue to your soul. 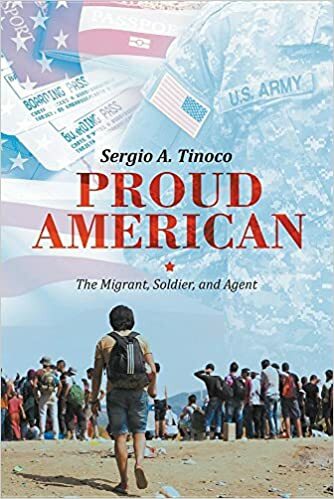 Proud American is a biography about your journey through life in South Texas; from migrant worker to US solider and then US Border Patrol agent. What was the inspiration behind creating such a thoughtful memoir of your life? My mother passed away in the summer of 2015. After her passing, I fell into a depression because I felt truly alone in the world. Being the only child of a single parent can do that to a person. I had my wife and kids with me but I still felt utterly alone, and I couldn’t shake it off. My wife kept pushing me to discuss my thoughts and feelings, but I could not muster up the strength. I didn’t know how to discuss what I was experiencing. My wife suggested that I write my feelings down. For years, my wife has been telling me that she believes I’m a good writer. For years, I’ve been ignoring her compliments. One night after dinner, she brought a letter to me. She handed me a piece of paper and asked me to open it. When I did, I saw that it was a letter I had written to her eight years ago. Eight years ago was when my wife and I first started dating, and one night she asked me over the phone, why I had joined the Army. I wrote her a letter and poured everything out on paper. It opened up the floodgates for me. That letter is now the first chapter of my book. Do you remember what your idea of ‘America’ was as a child? Because I began working at the age of seven, my idea of ‘America’ was that of tough living. It is hard for one to realize so young that his or her childhood is nothing like that of other kids. We were dirt poor and I had the full workload of an adult at the age of ten. In time though, everything around me was a constant reminder of what else was possible in ‘America’. I knew there were better ways to make a living. At such a young age, I wanted to learn how to pursue my thoughts or dreams of a better life. I didn’t have time to dream of the next best toy or fun activity. I spent all my childhood dreaming and thinking of how to break my family cycle of picking crops for a living. How did your outlook of ‘America’ change after your time in the US Army? I must say that in many ways, the Army actually spoiled me. Although it increased my awareness of the harshness of life and the many challenges that it can impose on a person, it also continued to show me all the many possibilities available should one choose to work hard to achieve a desired goal. This only enhanced what I already believed as a kid. More so, I also learned of all the harsh realities of life and how people in other countries are in a far worse state than most of us here can ever possibly imagine or understand. I knew, after my military service, that we lived in the greatest country in the world. Even with all our faults and deficiencies, there is no comparison. Being the son of a Mexican immigrant, was it hard for you to decide to become an agent in the US Border Patrol? My decision to join the US Border Patrol was actually a fairly easy one. I was looking for something that would allow me to continue my government service. It’s important to note that my grandfather had never talked to us about his encounters with the US Border Patrol and thus played no role in my decision. It wasn’t until after I had become an agent that I realized how my decision had impacted the entire family. It was a strange feeling and continues to be a delicate subject since I still have family that lives in Mexico and have not been able to visit them because of the dangers a visit from me would pose on them and even on me. With the violent cartel threat just across the border, it will be years before I can see my family again. What is one stereotype that you think many Americans have of Mexican immigrants? At this point in time, immigration has become a great issue for our country. With that said, the moment one begins to speak about immigration it is quickly considered to be a topic of Mexican immigrants and the ‘negative’ impact they have on our society. I am an American Citizen by birth, but I do come from a Mexican Immigrant family and am now a Border Patrol Agent. I have to deal with criminals from every background one can possibly think of. As a federal agent, I don’t merely deal with immigration issues. I also deal with the issue of human trafficking and narcotics trafficking. In essence, I’m caught in the middle of the transaction. I say this because in any transaction, there is a person providing a product and a person purchasing or demanding that product. I have to process undocumented individuals for deportation while at the same time prosecute the US Citizens that are committing the trafficking. What role do you feel Mexican-Americans play in bridging the gap between these two countries? I think we must all play the role of actual educators by way of providing facts and not opinions or emotional outbursts. I wrote a story in the book of an incident that happened to me while on the job as a Border Patrol Agent. The gentleman I encountered truly believed that he was above me simply because of my appearance and name tag. I chose to educate him and not escalate the situation with an emotional outburst. After that interaction, I earned the gentleman’s respect and he earned mine by showing me that he had learned the error in his thinking. I’m a combat veteran who now has to deport people of my own Mexican Nationality because I have chosen to continue serving my country, the United States of America. And yet, I still have to educate people every single day of my patriotism and the struggles I’ve had to overcome in order to achieve the stability I now have.